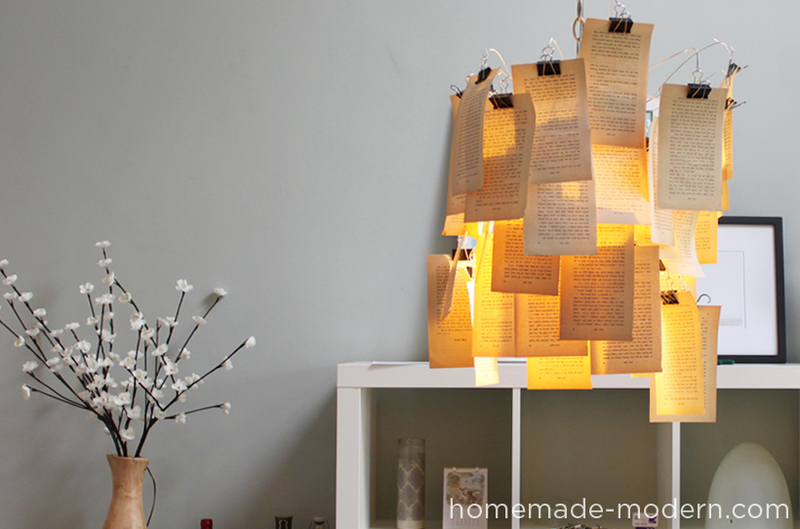 This is a fast and easy way to make a personalized lampshade. 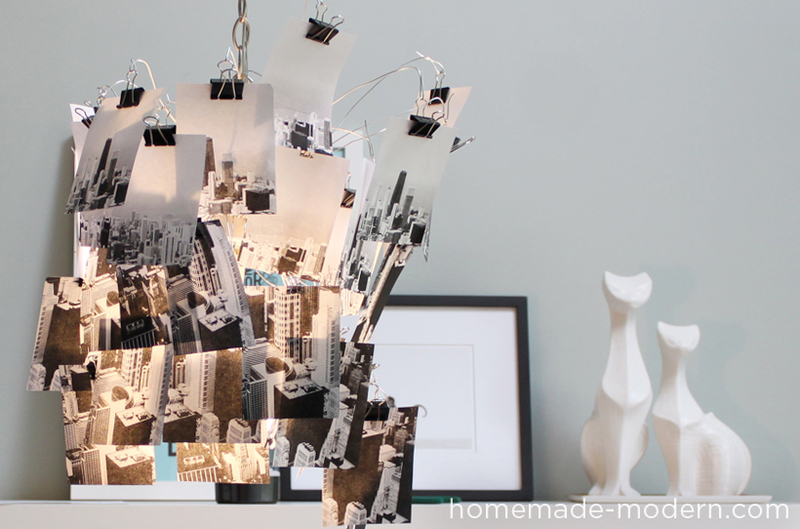 Re-purpose an old book or print some of your favorite photos to create a pendent lampshade. Important only use this idea with CFL bulbs. 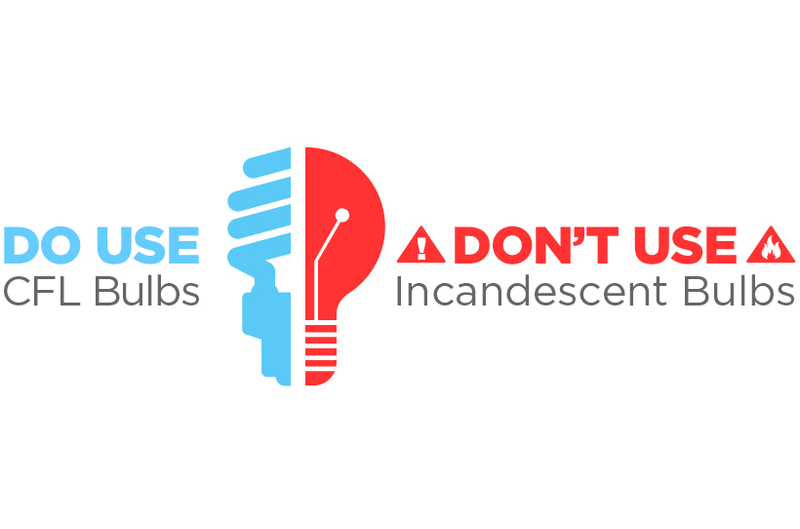 Other bulbs get too hot and could be a fire hazard. The lower the gauge the thicker the wire is. 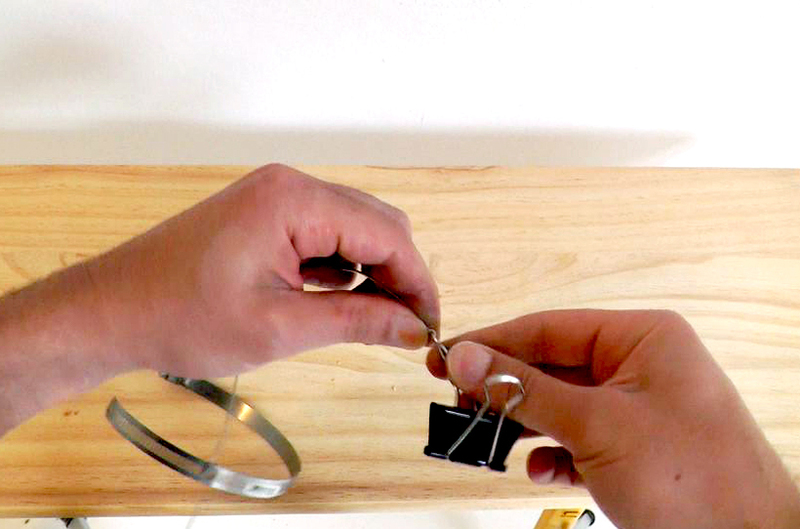 Lower gauge wire allows you to make a bigger pendant but is much harder to bend and cut. 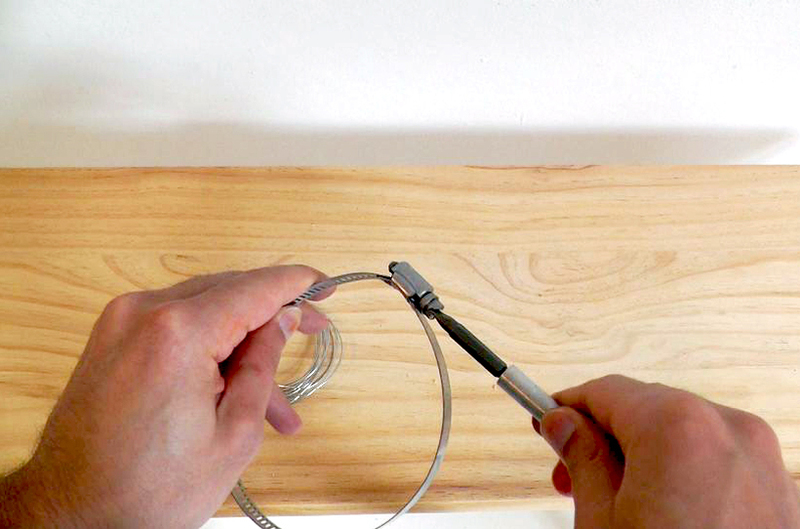 Metal hose clamps can be tightened or loosened with a screwdriver and can be purchased in a variety of sizes. 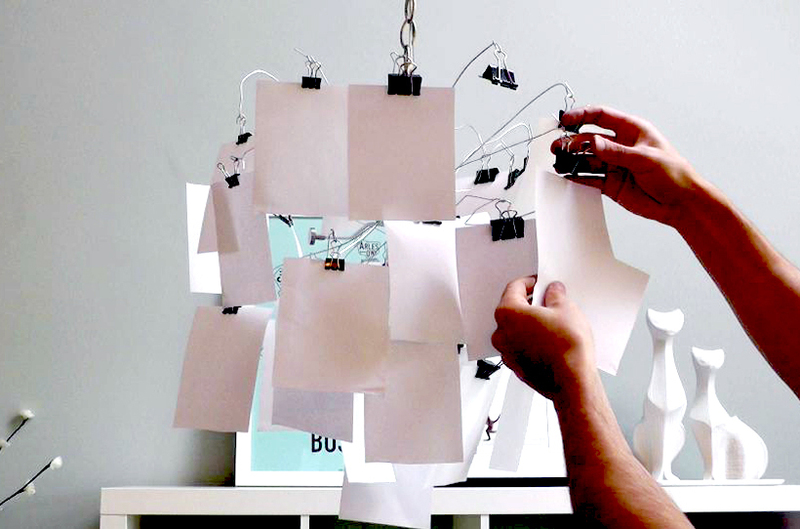 Binder clips will serve as the connection between the wire and the paper. 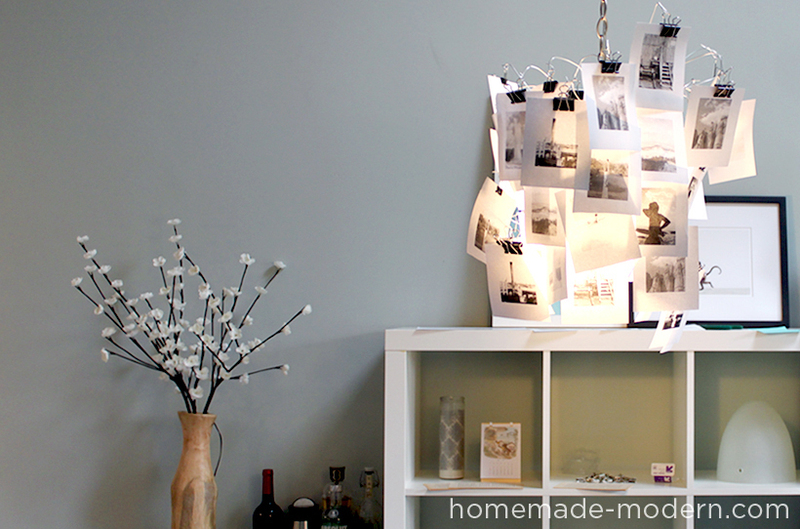 I was working with a pendant light with a glass shade. I unscrewed three screws and was able to remove it in just a few minutes. 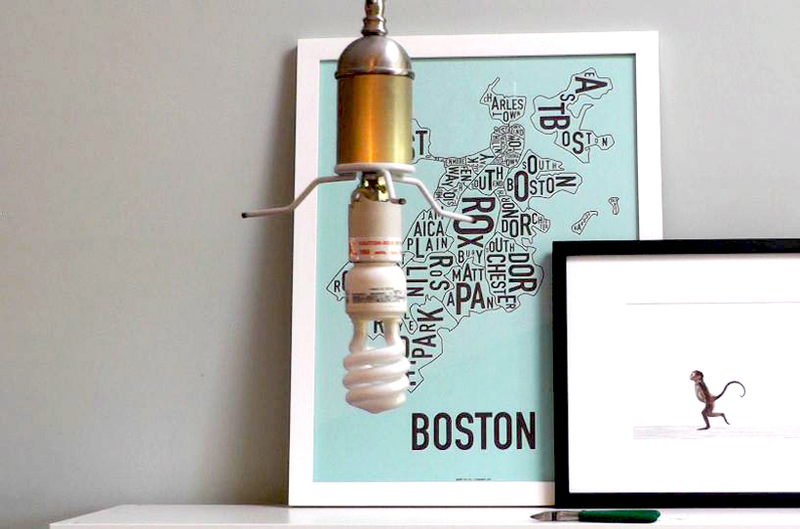 It is important to ensure you are using a compact fluorescent CFL bulb. CFL bulbs do not get as hot as incandescent bulbs. 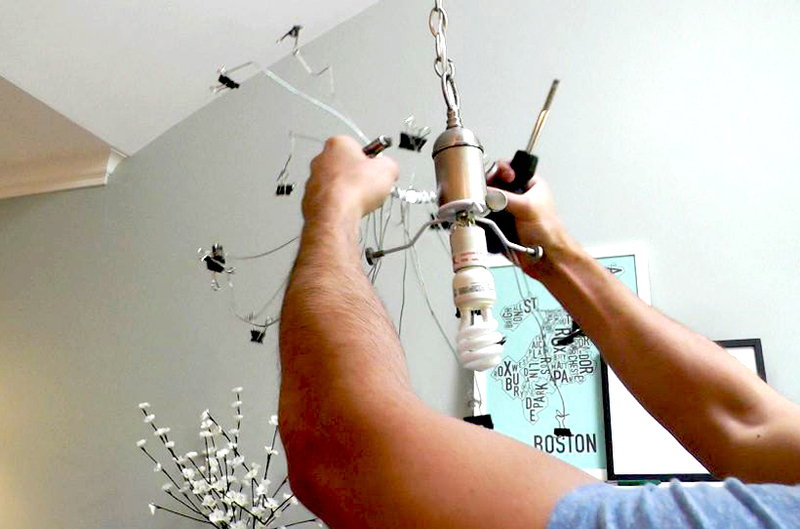 Halogen or incandescent bulbs generate too much heat and are not safe to use with this project. Different fixtures are different sizes. Luckily hose clamps come in all different sizes. 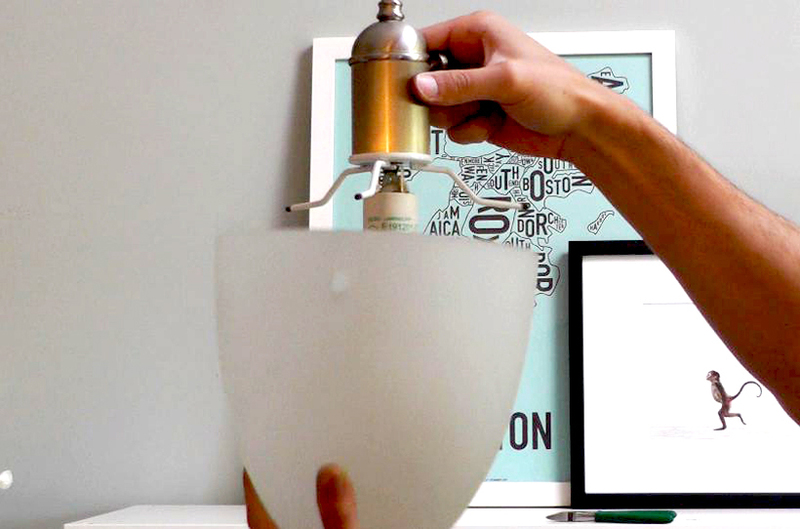 Find one that fits around the fixture above the bulb. Wrap pieces of wire around the hose clamp. 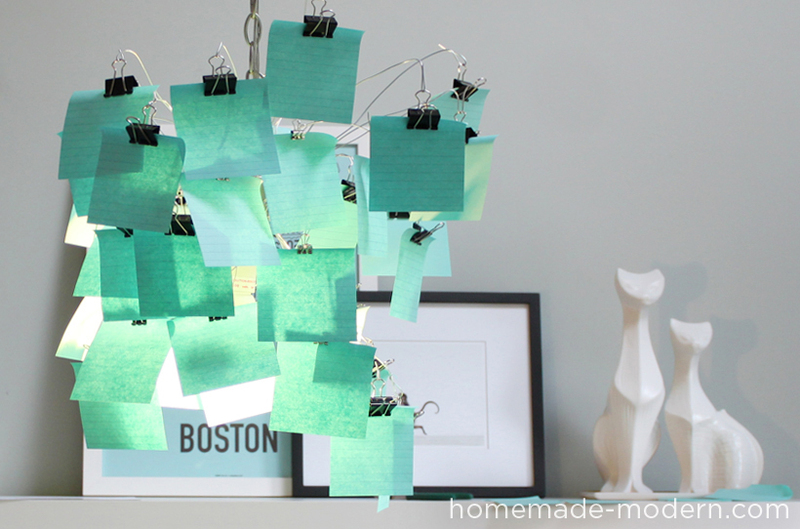 Cut the pieces of wire long enough so that you can use each end to hang a piece of paper. 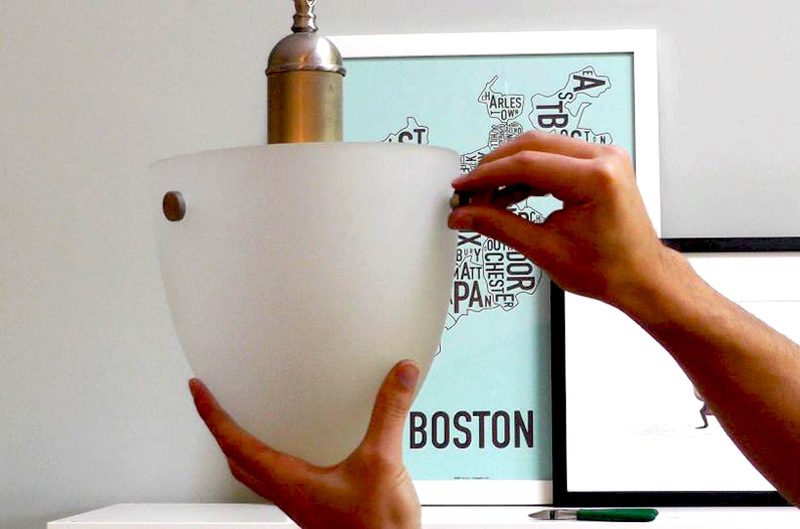 It is better to cut the pieces of wire too long than too short so that you have more flexibility in shaping the lamp. You can always trim the wire later. 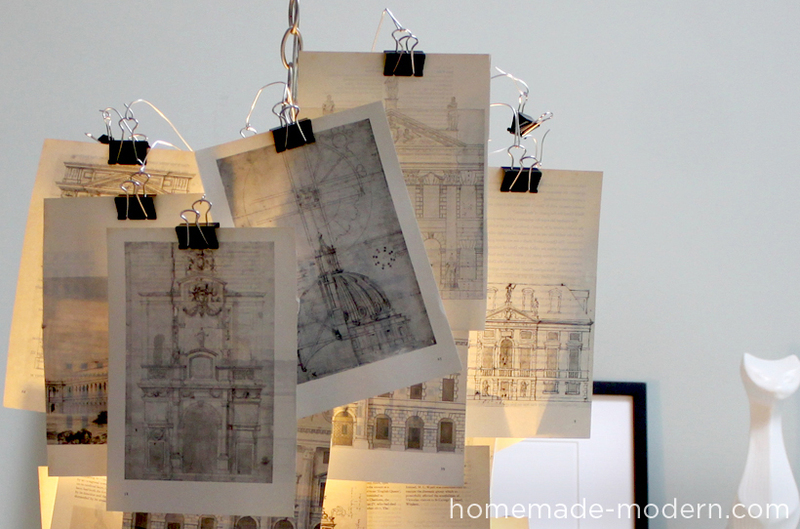 The thicker the wire the longer you can have them extend away from the light and the bigger you can make the lampshade. 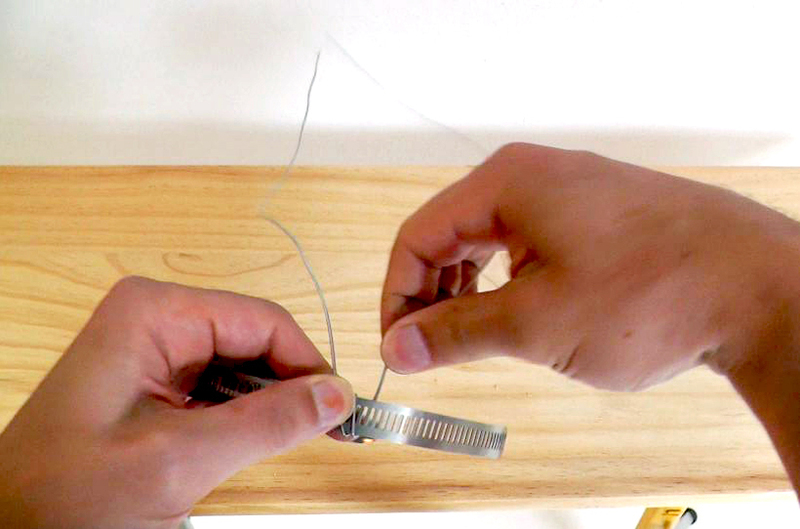 Thicker wire is more difficult to work with and may require pliers to bend. 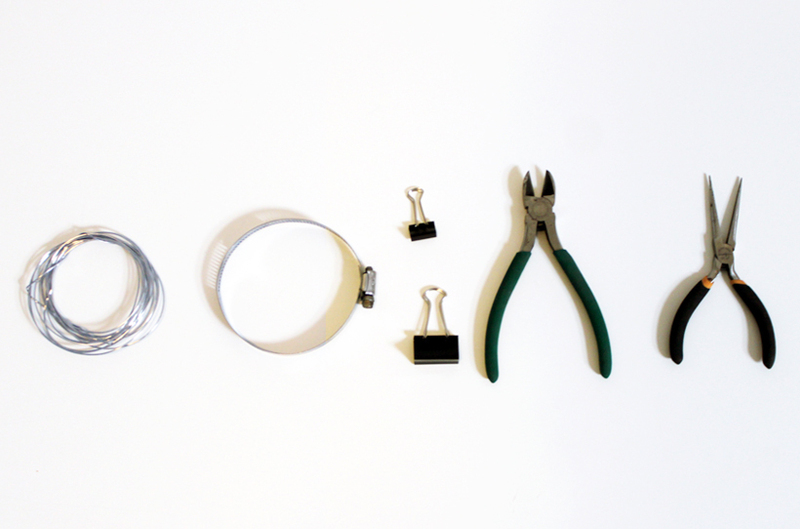 Thread the wire through the binder clip and then twist the loop closed. 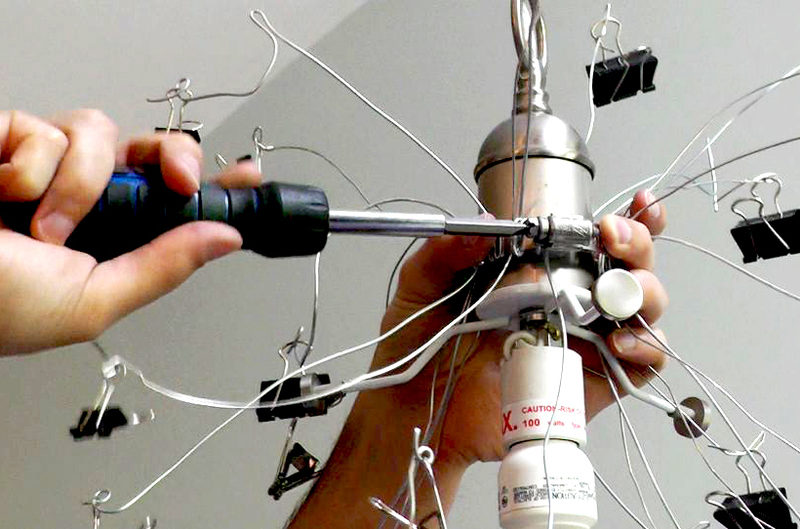 Once you have added enough wires, fasten the hose clamp around the light fixture. 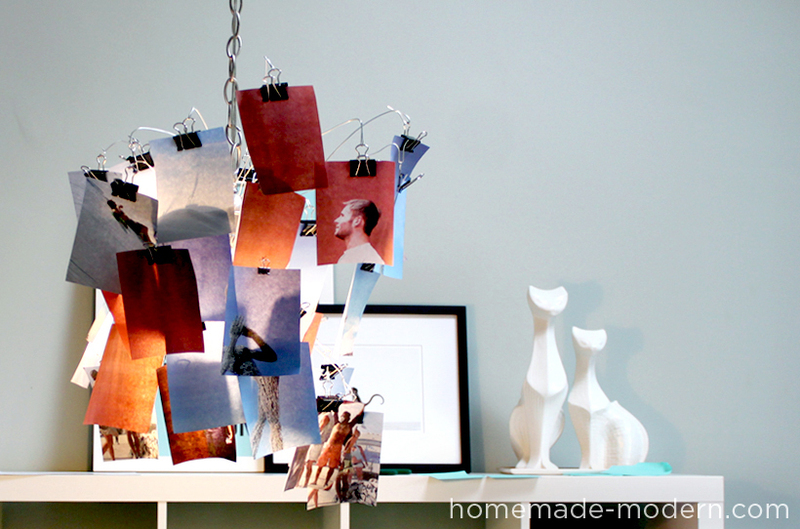 Clip on photos, pages from an old book, sheet music, dried leaves or anything else that you want. 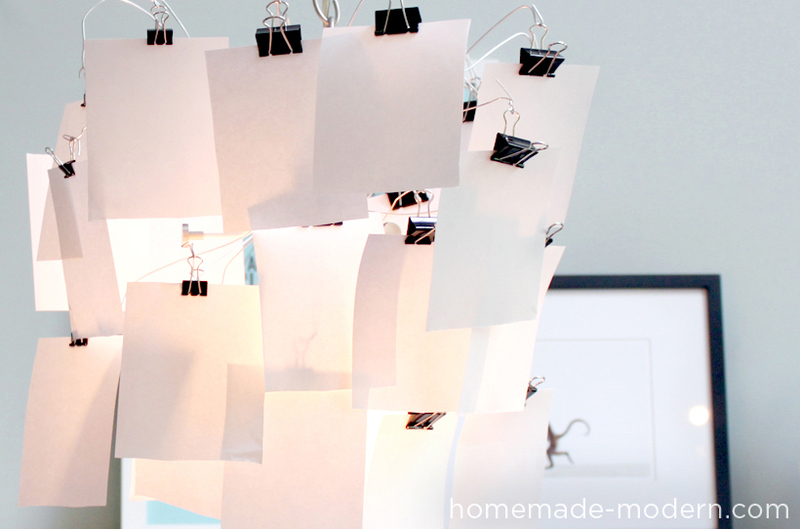 Adjust the wires to evenly distribute the array of papers and give the pendant a nice shape. 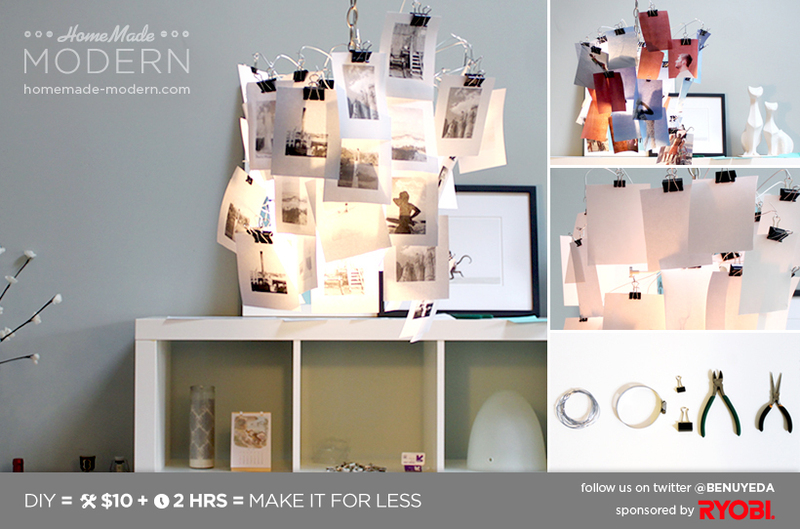 Good luck making your own photo lamp shade, and please email or tweet photos to @benuyeda or ben@homemade-modern.com. For more detailed instructions, dimensioned drawings and different variations of the project, check out our soon-to-be-released book.